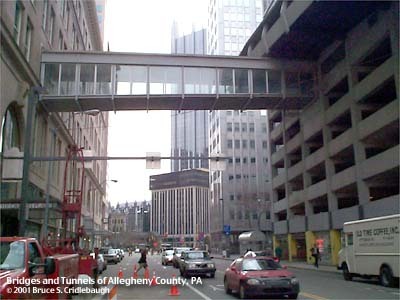 This skywalk is closed. 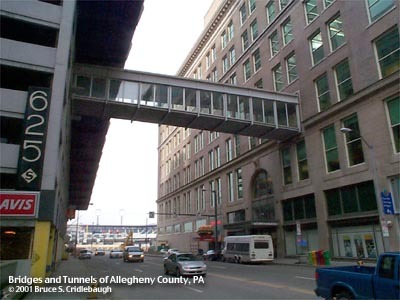 After the sale of the Horne's department store to Highmark Blue Cross/Blue Shield, the Highmark end was covered over with insulation and wallboard. The garage end has a steel rolldown gate which is now permanently closed. 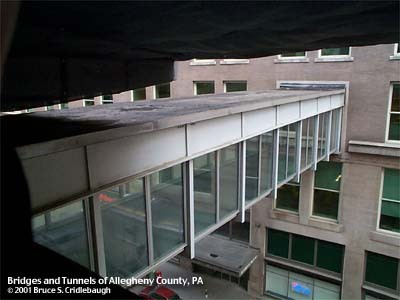 The skywalk provided a connection from the sixth level of the Stanwix Garage to the second level of Horne's. 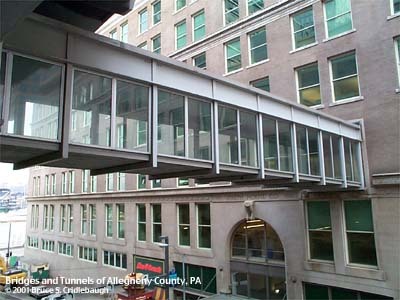 Each of the level is color-coded except this level which is named "Skywalk."